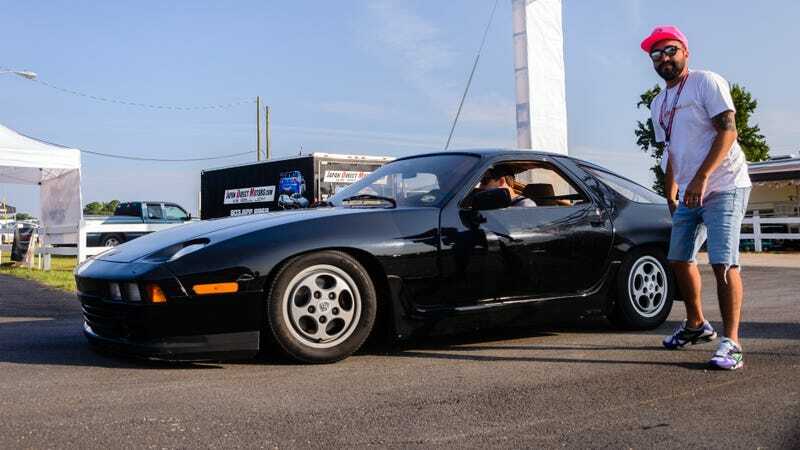 Radwood happened again this weekend at Road Atlanta, this time as an associated event during the GridLife automotive, music, and lifestyle festival. Thousands of people showed up to check out the action on track and in the paddock, and we were there to get Rad in the ATL. It was an awesome time, and here are some totally rad snaps from champ photographer Paul Pattillo. In the interest of full disclosure, I am one of the co-founders of Radwood. We asked Paul, a local Atlanta photographer, to come to the event as the official shooter of Radwood. He produced a pretty rad set of photographs, and the result is what you see here. Get ready for Radwood Philadelphia on October 14th by checking out this mega gallery. This is Radwood co-founder Art’s new-to-him Celica All-Trac. The car was delivered to Atlanta Friday night before the show. This totally rad Volvo was freshly imported from Japan. The owner picked it up last Wednesday, paid $4500 for it, and drove it down from New York. It won our “Raddest Import” trophy. This Starion is available to rent on Turo in north Georgia. It was not an expensive rental. A better Freddie Mercury than Rami Malek? This was easily the cleanest Dodge Omni I’ve ever seen. This Oldsmobile Ninety-Eight Diesel won our coveted “Raddest Time Machine” award. The “Raddest In Show” trophy vote was unanimous. This one-of-one Mercedes-AMG Hammer Estate won in a landslide. This four-eyes Fox Mustang belongs to my younger brother. I’m trying to work out a way to buy it from him, because I fell in love with it. It’s both incredible and terrifying to drive. And while it’s not Rad, per se, a track-ready minivan is pretty rad.